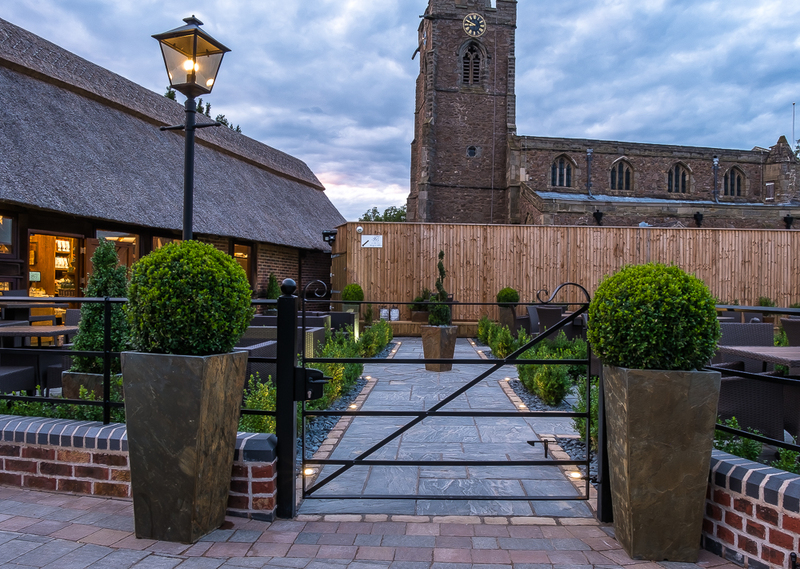 Tithe Barn, located in the village of Cosby, Leicestershire has now been carefully transformed into a beautiful new deli-cafe business, offering a high quality place to eat, drink and socialise. Now known as ‘The Tithe Barn’, brp architects are delighted to have played a key part in developing the design concept and in obtaining the necessary Planning and Heritage approvals for the latest chapter of Tithe Barn’s cultural legacy. A Grade II Listed Building, dating as far back as the 15th century, Tithe Barn (formally Coates Barn) is an oak cruck and boxed frame building with a traditional thatched roof. 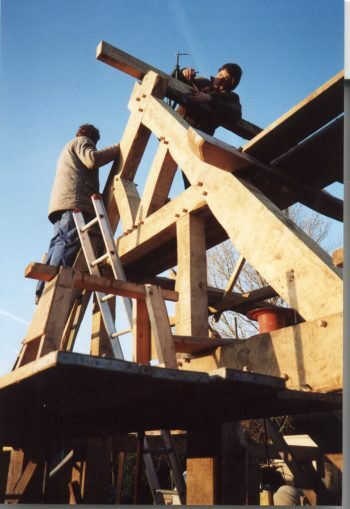 brp architects oversaw a significant restoration of the barn in the late 1980’s with a large amount of structural timbers being replaced or repaired. A number of original and historic timbers are still visible and are very much integral to the barns structure both internally and externally, however the more modern repairs and brickwork panels are very prominent due to the extent of restoration undertaken. 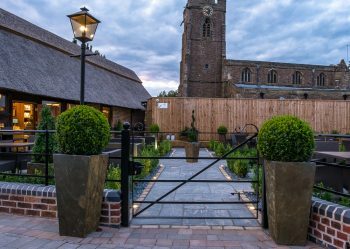 The barn and grounds have been lovingly and very sympathetically converted to a new deli-cafe, whilst minimising alterations to the original features of the barn; only where essential to the design. The thatch roof was resorted and cleaned and a new stone floor laid internally. The food service counter and interior fit out of the barn is very in keeping with Tithe Barn’s heritage and provides a warm and welcoming deli-cafe feel. Having opened its doors in August 2016, the Tithe Barn has been warmly welcomed by the public with a roaring trade so far. The recent opening weekend was very well attended and the new business has received encouraging comments and reviews since opening. Together with a beautiful English courtyard garden, which replaces a repressive tarmac haulage yard, the central focus of the owners was to develop a unique business identity and a design concept that would bring back to life and return an important loved heritage building back into the public realm. 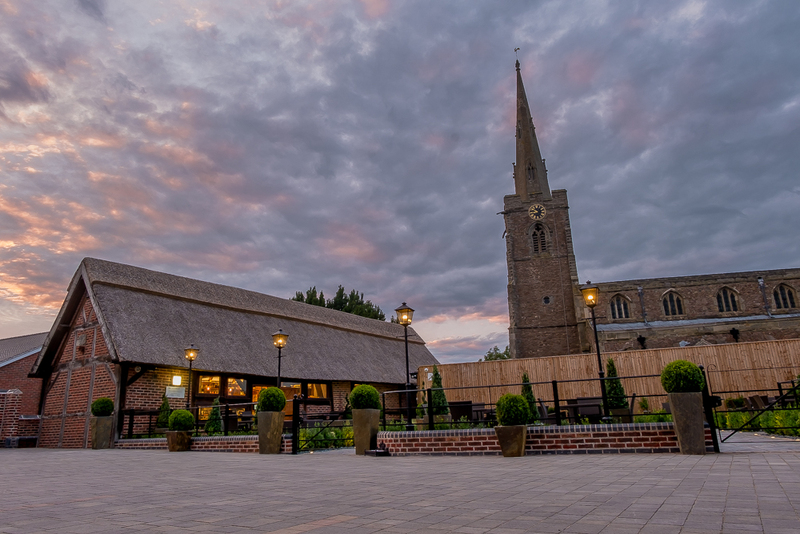 The positive impact of The Tithe Barn has been immediate and we wish the new business every success in the future. More about the history of Tithe Barn.